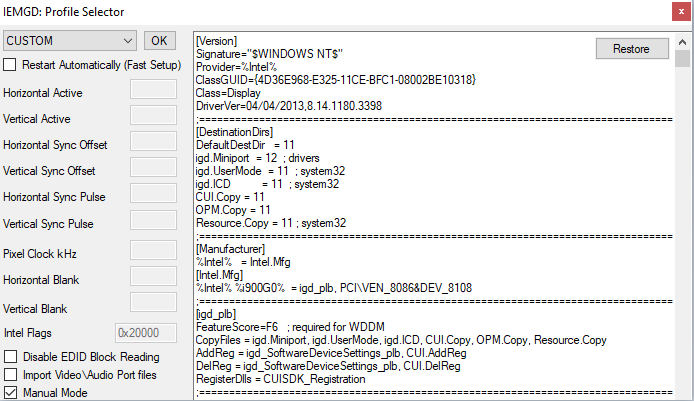 IEMGD Add-On was develop to replace Intel CED on multipurpose devices. 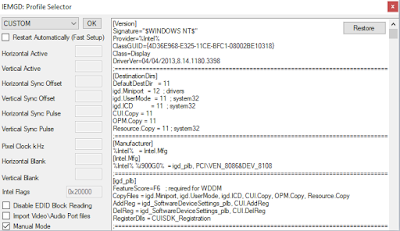 It includes all basic functions to generate a compatible driver without download above 100MB package! ComboBox:You can try to install a Common Display Profile selecting one of them in the list and then pressing OK button (will start windowed setup) or checking Fast Setup and then OK (will only showed the request to install unfirmed driver). 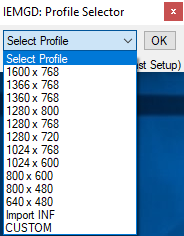 Select your display MAX resolution! 1) A profile develop from another publisher using Other INF function (for ex. you have find googling a IEMGD 1.16 compatible with your device but not 1.18. SHARE WITH US YOUR WORKING PROFILE! Manual Mode: this function open the configuration box. Here you can do a lot of things if you are an advanced user. I will not add any other profile! 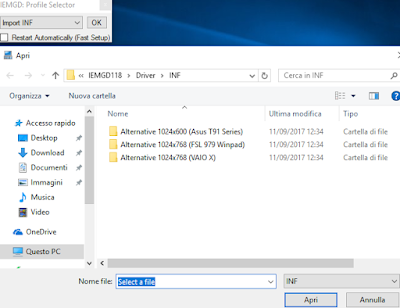 Ho anche provato ad eliminare dal registro le 3 chiavi descritte nell'articolo ma nulla. 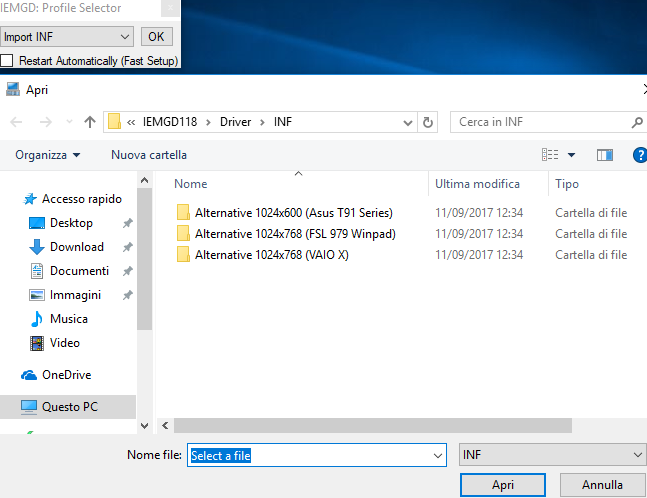 Grazie per le risposta, ora sto usando un driver ufficiale ed funziona, solo che dopo un Po lo schermo diventa nero e devo sospendere le sessione, al riavvio funziona tutto, sino in attesa di ricevere una ram da 2gb,sperando vede un Po meglio.